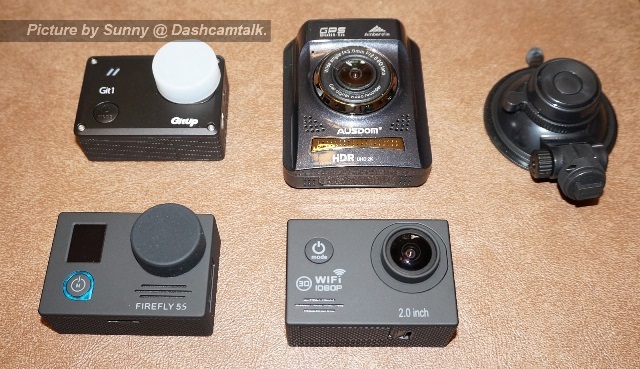 The Ausdom A261 is a Chinese manufactured dash cam based on the Ambarella A7LA50 processor and OV4689 CMOS sensor. This is the same processor and sensor combination found in the Mini 0805, Mini 0806 and Mini 0826 recording at a maximum resolution of 1296p at 30fps. The video quality during the day is very good and at night it is good. The night video quality has a slight yellow tone to it. The camera records with an overall bit rate of 20Mbps which supports the good video quality. The A261 has GPS built in and all reports indicate that the GPS locks very quickly. GPS cannot be turned off but speed is not written on the video. Some owners complain that warning messages such as “No SD Card Inserted!” only stays on the screen for a small amount of time. This can cause a user to miss the message. Also the start-up chime is the same whether it starts up without problems or starts up with problems (i.e. missing SD card). 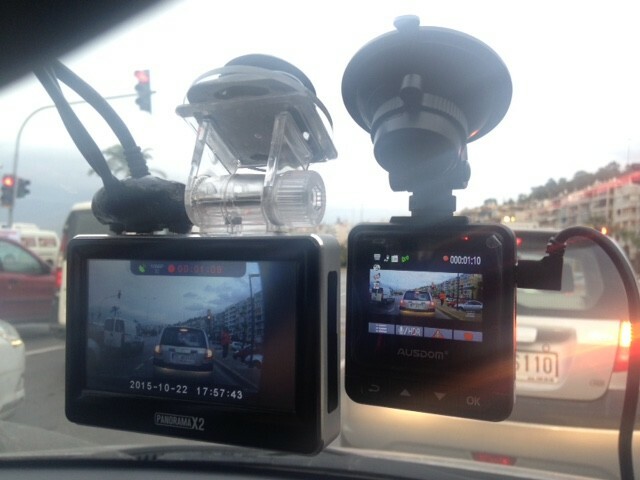 This can cause you to miss recording an important event which defeats the purpose of having a dash cam. While the camera is not too large at 65mm x 57mm x 30mm, we are not huge fans of the rectangular form factor. 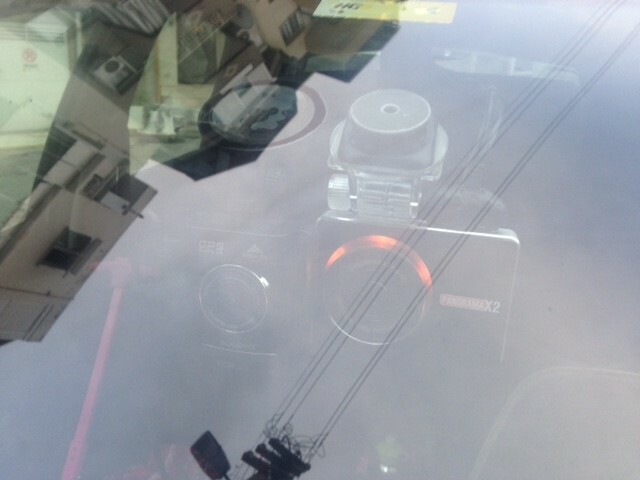 The shape of the A261 and the suction cup mount make it not the most discreet camera. On the positive side the build quality is quite good. 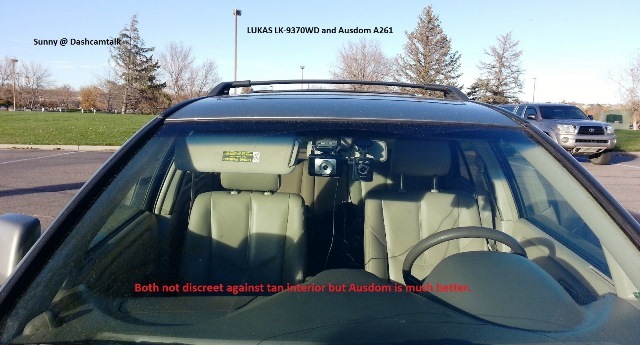 We would like to thank our forum members CheckYourLights, Sunny, USDashCamera, Bubbah and dash riposki for doing detailed reviews of Ausdom A261 on our forum. Size comparison from Sunny. Gitup Git1 top right, Ausdom A261 top middle , Firefly 5S bottom left and SJ7000 bottom right. One owner has indicated that his Ausdom A261 was missing the satellite info page from the menu and no GPS icon on the screen. The camera did not appear to have a functioning GPS. There is no known resolution to this problem but so far it is a 1 off anomaly. 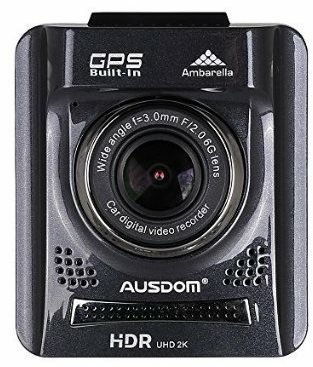 The Ausdom A261 has good video quality and decent build quality. A decent overall camera given the built in GPS, reasonable price tag and initial positive reliability. 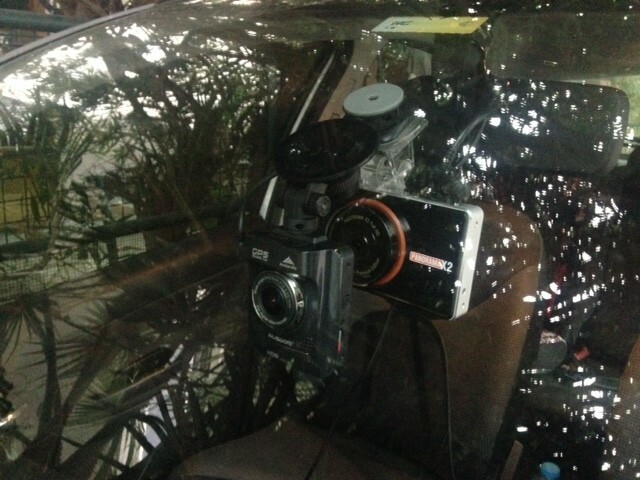 Unfortunately we are not fans of the rectangular form factor and suction cup mount. The smaller, more discreet and less expensive Mini 0805 offers similar performance and is a better value. If you like the A261 form factor and want a camera with a suction mount, this camera may be what you are looking for. See what other owners have to say about the Ausdom A261 on our forum. The Ausdom A261 sells for approximately $100. Unfortunately we do not have any firmware versions from this camera yet. Alternatively, many owners have indicated the Daum Potplayer works well with the video files from this camera. Final Word Decent overall camera. Not the most discreet form factor. Consider the Mini 0805 instead.